Lunch: After last night’s concert and late night feasting we began the day late, very late. It was a day of rest. We didn’t have our first meal until 3pm. 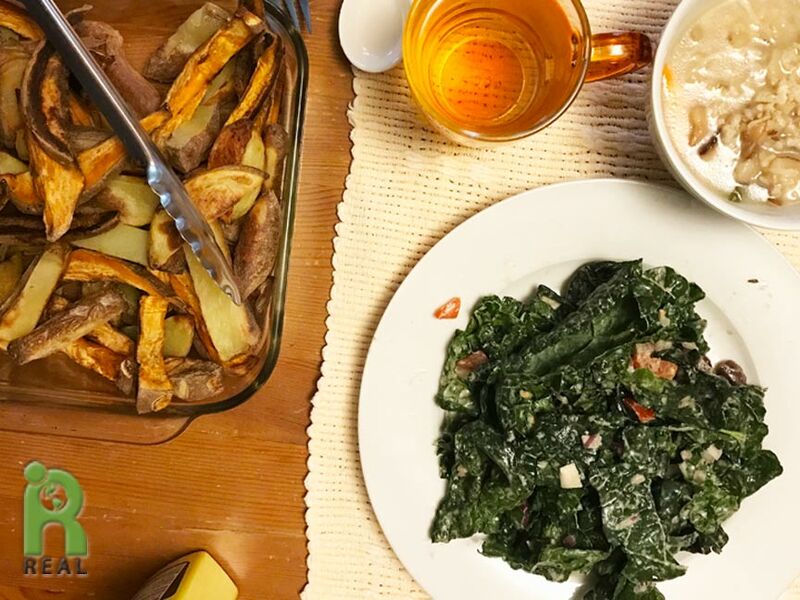 And it was good – a big Kale Salad and Baked Sweet Potato and Yellow Potato Fries. I finished up the Mushroom, Noodles and Vegetable concoction I made last night. 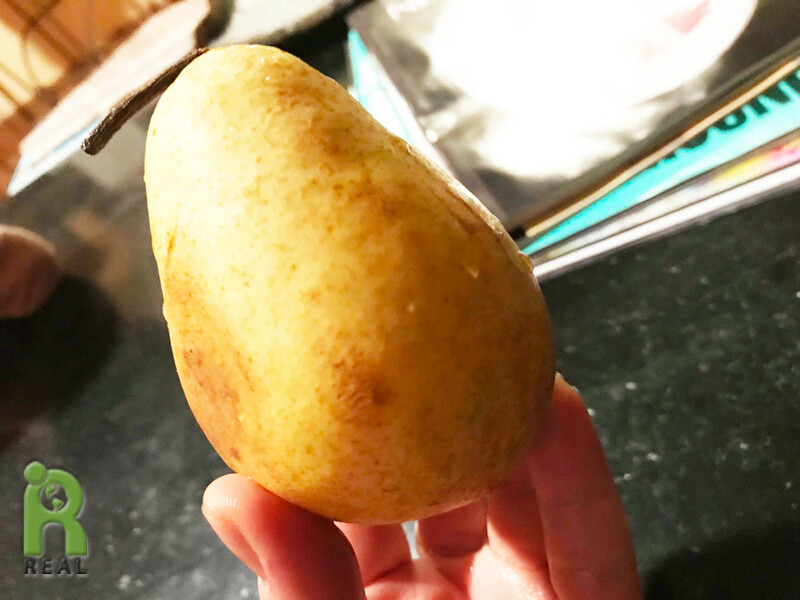 Evening: Later on I ate a pear.